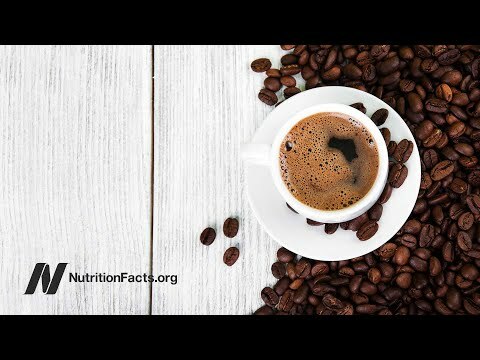 Does caffeine cause cancer? A very good question for all us coffee snobs and addicts, and and a question we might feel inclined to run away from. You may have seen news reports recently that a judge in California issued a ruling that shops that sell coffee will be required to post a notice that coffee beverages contain acrylamide, a known carcinogen. A 1986 California law requires businesses to post warnings in their premises that warn visitors/customers and employees of the presence of any substances on the list of substances "known to the State of California to cause cancer", aka "carcinogens". Acrylamide has been on that list since 1990. The suit brought in California sued large brand-name companies, including Starbucks, to require them to notify their customers of the presence of acrylamide in coffee. As a self-described and self-diagnosed "coffee addict", I certainly feel a strong urge to dismiss this ruling and find myself minimising the risks of continuing with my daily "addiction". Are you feeling similarly, I wonder? Just how serious a carcinogen is acrylamide? My go-to guy for all things related to the effects on my health of what I put in my mouth is Dr. Greger at his website nutritionfacts.org. A search of his site for acrylamide turns up just a few posts, including one on the risks of acrylamide in French fries. He does not have one that mentions coffee and acrylamide. But French fries too! OMG, is life worth living at all! ;-) A search for coffee posts at the site suggests that the effects of coffee are not all bad, and in fact I have posted items here on my site from time-to-time on the health effects of coffee. Of course, I have to admit a certain bias in noticing anything that suggests coffee is beneficial to my health and spreading the word. My entire lifetime seems to have been accompanied by a debate over the health risks and benefits of coffee. I have to say that in my younger days, the weight of evidence seemed to be on the negative side, but in the last decade there seems to have been more coming down on the positive side. I guess there are pros and cons, and my hope is that the positive effects outweigh the negative effects. If you are on a quest to dig deeper into the evidence, (and keep in mind that we should always take into account who funds research, as that can indicate a bias in terms of the findings), CNN appears to be documenting research findings on the health risks related to coffee at this page Health Risks of Coffee: Where do we stand. But I come back to the realization that my initial reaction was to dismiss this news. I have an internalized bias that any addict has towards negative news about their substance of choice. Has your response to this news been similar to mine, and like me, will you continue to drink and shop for coffee, using "selection bias" to emphasise the beneficial health effects of coffee? What do you think?